When running your own business or launching a startup doesn’t pan out, many people choose to return to a corporate job for more stability and a steady paycheck. 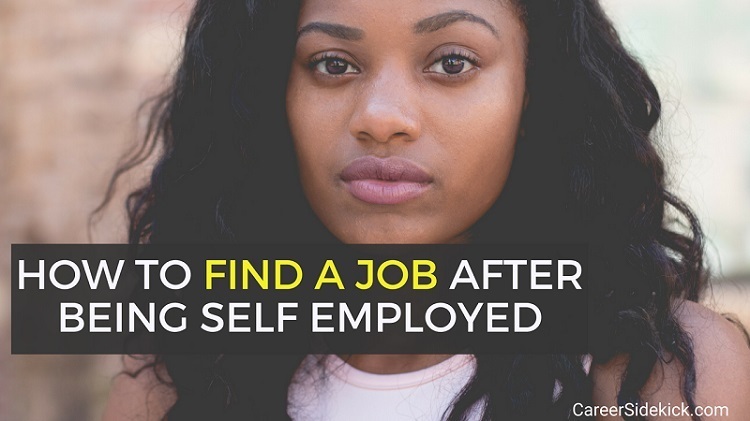 In this article, I’m going to share some of the best strategies for how to find a job after being self employed. These tips will help with your resume, LinkedIn, interviews and more. For most people, a failed business venture is a tough pill to swallow. However, it’s not unusual at all. In a Startup Business Failure Rate by Industry study conducted by Statistic Brain, the 5-year failure rate of all U.S. companies is >50%, and >70% after 10 years. There are many reasons why startups fail, from breakups with co-founders to a lack of funding. And there are plenty of reasons why you might choose to leave your small business or startup behind even if you’ve been operating for a couple years or more. 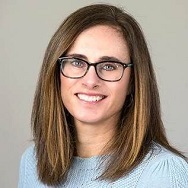 Whatever the case may be, when hunting for a new role, the important thing is to be able to showcase the role you played in getting the company off the ground, growing the business, and how you’ll use those lessons learned to be valuable to employers now. When it comes to staffing or hiring, no company operates more leanly than a startup. As a result, most employees end up wearing many hats – and the founder(s) do as well. From sales to marketing, finance to HR, deal-making to operations – the early employees/founders at startups do it all. This is a value-add! I recommend calling out the skills that you possess and highlight examples of where you used them. By positioning yourself as a jack-of-all-trades integral to running all aspects of a company, you appear to the reader as someone with skills diversity. Those who establish startups or small businesses often describe a “Wild West” environment lacking process, structure and continuity… at least in the beginning. By laying the groundwork and instituting policies, controls and standard operating procedures (SOPs), you have created a viable infrastructure and effectively created order from chaos. Highlight this talent by noting your efforts at creating operations, sales, marketing, communications or finance frameworks from the ground up. Regardless of the role they’ve been hired to do, in my experience people who come from startups (especially early stage ones) are more often than not involved in some phase of business development – from creating sales and marketing collateral to actually delivering the pitch. When the startup fails for whatever reason, they are often left with a respectable list of contacts. This network is often a value add for your next employer, as is the fact that you built it from the ground up. If you can claim a vast, deep and perhaps even loyal network, be sure to spell this out! Many entrepreneurs note that every day brings something new and unexpected. The ability to succeed in a “by the seat of your pants” atmosphere can translate on your resume, LinkedIn profile, and interviews. Show that you’re someone who can stay flexible and productive in an ambiguous work environment. This is a highly-desirable job trait often seen on job postings! You’ll notice many job postings make note that they’d like to hire someone who is able to adapt quickly, work in a fast-paced environment, etc. Running your own business goes a long way toward proving you are ready to for this type of challenge. More often than not, a small business or startup’s ability to get off the ground and continue to the next level is dependent on funding. The skills and expertise critical to securing large sums from investors and obtaining financial support are the same as those essential to succeed in sales, business development and even project management. In all of these roles, one must be able to develop powerful business cases, present them before senior leadership and gain buy-in from decision makers. If during your startup tenure, you created compelling presentations, pitched persuasive cases and succeeded in securing some much-needed cash, be sure to note this success. People who leave startups or small businesses often have had the time to reflect on what worked, and what didn’t – from improper user testing to mismanaged funds to improper planning. Whatever the case, you can now go into a conversation with potential new employers and talk about bringing this experience to the table. Highlight how you can help your next boss or company to avoid these same mistakes. Here’s an easy way to decide… think about what’s most relevant to the employers you’re sending your resume to. For example, if a role you’ve applied for involves direct management, you’d be wise to highlight any leadership and people-management early and often on your resume. On the other hand, let’s say you’ve applied for an individual contributor role with no management involved. In this case, you’d want to spend much more space on your resume and LinkedIn (and more time in your interviews) talking about the technical skills that will help you succeed in this job. So instead of thinking of your resume and interview answers as a summary of everything you’ve done, think of them as an opportunity to showcase *specific* things you’ve done that’ll help this particular employer. Need more ideas of what to talk about? These are just a few ideas. They might not all apply to you – it totally depends on what type of business you were involved in – but hopefully this gives you some idea of where to start! Startup and entrepreneurial endeavors don’t always work out – often for reasons beyond our control. However, even a failed venture can be used to show others how you’ll help them succeed if they hire you. Identify what skills will be most beneficial to the employer in their job, and then show them how you’ll use your experience to help them. Do this on your resume and LinkedIn, and throughout the interview process. If you do this, you’ll give yourself the best chance of finding a job after self employment.